For millennia, people lived along what is today known as the Columbia River. Indigenous villages flourished and became successful trade centers along this natural travel corridor. Venturing upriver from the Pacific Ocean, Europeans first traveled the river in 1792. In 1805, the Lewis and Clark Expedition arrived from the East and reported village after village along the Columbia. When the expedition passed perhaps the largest Chinook village they encountered, now known as Cathlapotle, seven well-engineered and artistically embellished canoes bearing people from the village accompanied the expedition for several miles downstream. During the return upstream trip in March 1806, the expedition visited Cathlapotle. There they bought provisions, tried to purchase one of the canoes that had so impressed them, and examined the 14 large cedar plankhouses (the largest 200 by 45 feet) that housed the estimated 900 inhabitants. Tragically, thereafter the communities along the Columbia River corridor were ravaged by illnesses brought by contact with foreign cultures. Approximately 40 years after Lewis and Clark departed, Cathlapotle was abandoned. The buildings slowly vanished, and the site became covered with vegetation. New immigrants to the region settled on the land. In the 1960s, the U.S. government purchased the farm containing Cathlapotle as part of the Ridgefield National Wildlife Refuge. U.S. Fish and Wildlife Service (USFWS) officials were aware of the importance of Cathlapotle but uncertain of its precise location. Finding and investigating the site was in keeping with the requirements of Section 110 of the National Historic Preservation Act (NHPA), which requires all federal agencies to establish historic preservation programs and identify, evaluate, and protect historic properties. Working with experts from Portland State University, members of the Chinook Tribe, and the former landowner, USFWS identified six locations formerly occupied by cedar plankhouses. The Cathlapotle Archaeological Program was created to investigate the sites. The potential for adverse effects to historic properties arose when it became necessary to disturb the site during archaeological investigations in order to learn more about Cathlapotle. The USFWS, the federal agency carrying out this project, was responsible for conducting the Section 106 process under the National Historic Preservation Act. Section 106 requires that federal agencies identify historic properties and assess the effects of the projects they carry out, fund, or permit on those properties. Federal agencies also are required to consult with parties that have an interest in the fate of the property when adverse effects are likely to ensue. 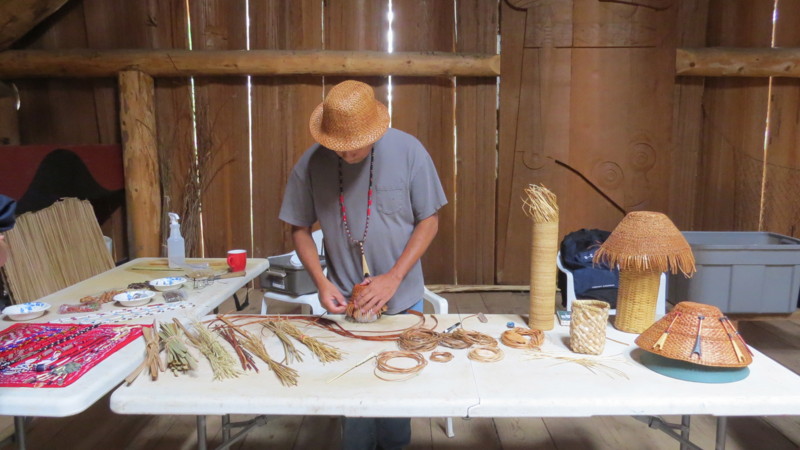 Several Indian tribes were invited to participate, including the Chinook Tribe that remains involved at Ridgefield. A Memorandum of Agreement (MOA) was executed to safeguard the historic integrity of the site and govern how the work would proceed with provisions for appropriately handling any human remains discovered on the five acres involved, along with handling, curation, and preservation of artifacts. Finding Cathlapotle’s location was an important historic discovery. 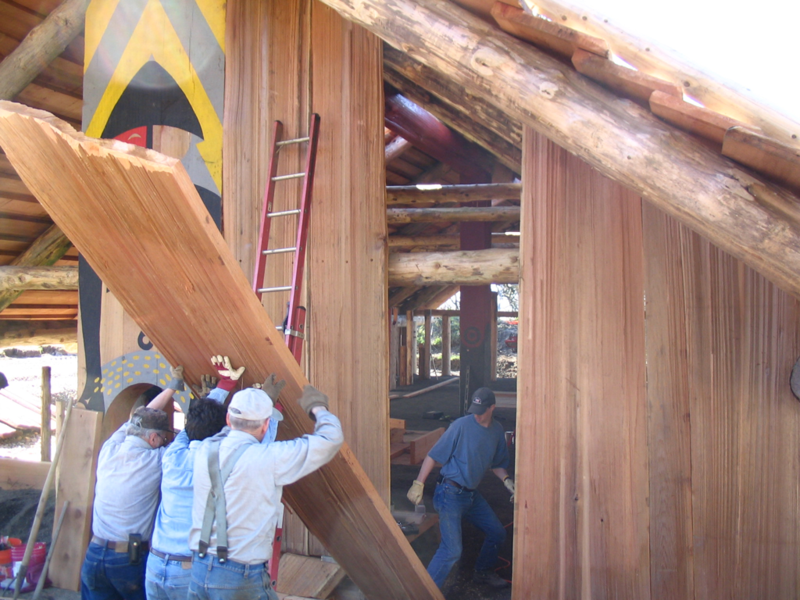 The ensuing projects brought together disparate entities to cooperate on Cathlapotle, including the Washington State Historic Preservation Officer, Indian tribes, Portland State University, USFWS, local landowners, nearby national forests and parks, funding organizations, the City of Vancouver- and Clark County-sponsored Lewis and Clark Bicentennial Committee, and more than 100 local volunteers who contributed thousands of hours of labor. 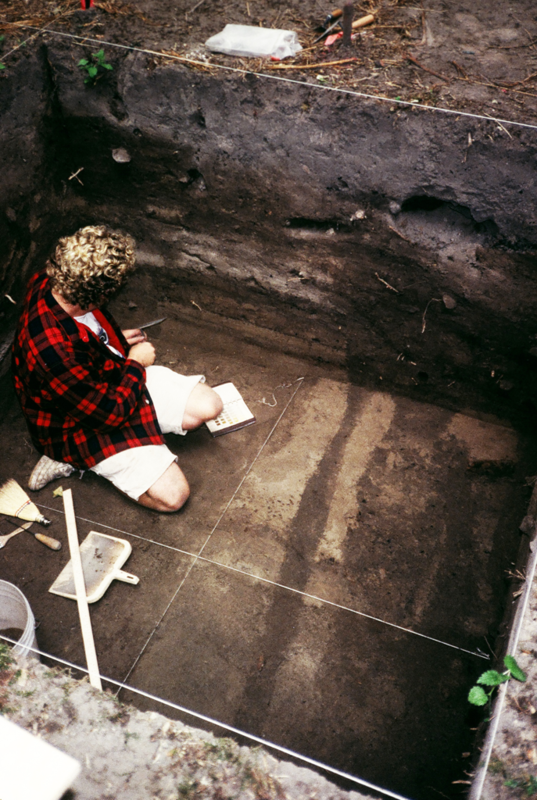 Archaeological investigation and research revealed centuries of human occupation at the site, one of the few undisturbed and identifiable Chinook village sites remaining along the river. 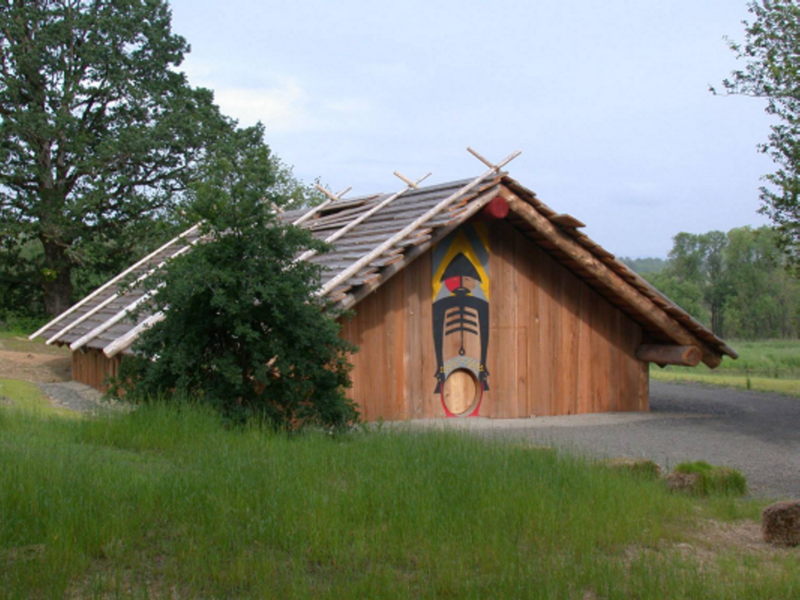 In time for the 200-year commemoration of the Lewis and Clark Expedition and to make the area’s and tribe’s history more accessible to contemporary visitors, a representation of a Chinook plankhouse was constructed using information learned at the site. 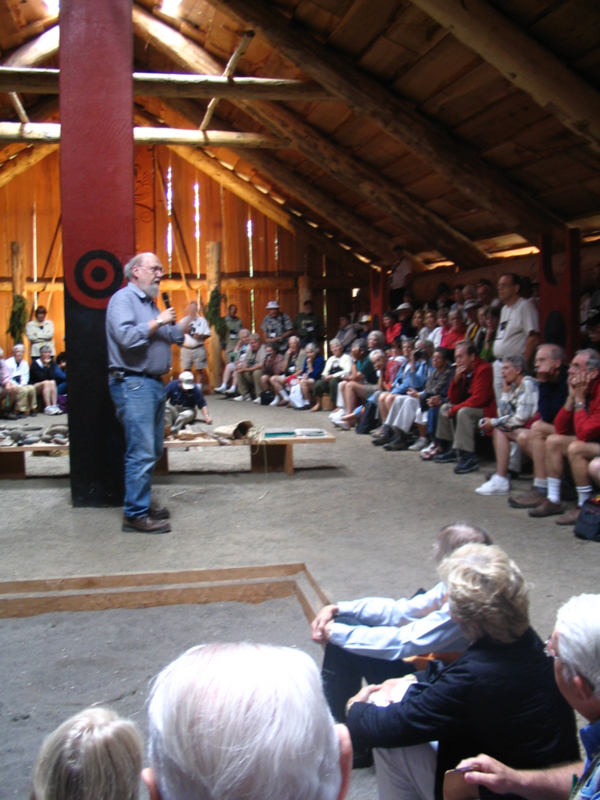 The Friends of the Ridgefield National Wildlife Refuge in 2007 added a Friends of the Plankhouse group that provides fiscal and administrative support for educational events and opportunities to partner with tribes, local historical societies, and State and Tribal Historic Preservation Officers. Ongoing educational outreach involves students and adults annually through site visits and the Discover Cathlapotle! environmental and heritage education kit developed for grades three through six. In spring 2014, the USFWS received a $50,000 grant from the Department of the Interior to support work on the archaeological collections. USFWS has invested $39,000, which resulted in the inventory and rehousing of more than 50 percent of the collection. The new funding will support completion of the inventory and rehousing, refinement of existing data and importation into the Interior Collections Management System for cataloging, and physical analysis of possible human remains.